I just got around to reading your article as published on the Intersect website, and I can only applaud to your criticism of Wikipedia. Your description of it as sharing the features of a cult rings absolutely true to me. 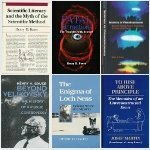 With a lifetime experience of observing various cults, both in the political and the religious spheres, I have no doubt that many Wikipedia members, and the most attached and influential among them, behave and think as if they belonged to a cult, albeit not only and necessarily in such a linear, pyramidal fashion as your article seems to suggest. There is much more to it than just Jimbo sitting at the top, and there are many ramifications that were born with a life of their own. To be more specific, I embarked two years ago with my knowledge of ten languages or so on a tentative side-career as an editor of Wikipedia, in several of the localized versions. I’ll focus for now only on French Wikipedia, where I promptly headed into troubles and at the end I was properly deleted out of existence as an editor. It all started when I introduced in some articles a couple of references which were already well accepted and even the object of proper articles on Italian and English Wikipedia. This apparently went against the consensus on the articles’ contents on French WP, and I was very quickly exposed to public contempt and literally harassed by the local cult leaders/administrators, with the same language and mob following which always have characterized such entities. As it turned out, the most vociferous among these administrators had a particular attachment to the Catholic church and the current head of same said religion. When I pointed this out in the scuffle that ensued (arbitration procedure and the like), he promptly removed the contents of his own user page, but that didn’t lead his ire to abate. Understand that this all happened within only a few weeks. That same administrator, probably believing that I wouldn’t be able to trace things on WP, made some disclosures to other users which revealed the existence of a semi-secret mailing system within Wikipedia. A mailing system that worldwide, it turns out, is only accessed by twenty or thirty admins endowed with special permissions and allegedly elected by their “peers”. As this referred specifically to my person, I demanded to see the mails’ contents. When this was refused to me (by other admins, under the guise of neutrality) and I both opposed the decision and questioned the existence of that system on my own user pages, the latter’s contents on French WP were first blocked, then erased. I then brought this particular issue – Wikipedia’s secret mailing system – to discussion on the Wikimedia site, in English this time. The result was that I was also soon forbidden there. Asking help in Danish from one admin on Danish WP I had been in touch with previously and who happened to be listed among those elected few with access to the secret mail system, he responded irritatedly that he wouldn’t have anything to do with the issue. I then wrote to Jimmy Wales, who responded, seemingly concerned, that he would delegate the issue to the then head of Wikimedia Foundation, a French woman, as she would be able to understand what things were about. I never heard a word from her. I would never try to guess why! In the meanwhile, my very existence as a user had been deleted from French WP, albeit not from the other localized versions. A very little indignity to suffer, considering that I hadn’t in the least built any kind of emotional tie to the institution, and especially when compared to the indignity of having those cult leaders claim to the mobs that my name (I had been foolish enough to use my own name, not a pseudonym) actually was only a pseudonym (a so-called sock-puppet, I believe) used by one of their long-term foes. Moreover, I was to discover that someone was using my name as a pseudo on some forum discussions attacking Wikipedia on the website of a Belgian newspaper, and that others the same place were accusing me (or my name, that is) of actually being… a Wikipedia administrator in disguise! The last indignity suffered was reading the contents of the mails from WP’s secret mail system that concerned me published on that same forum: anonymous email threats to bring Wikipedia and myself to a Belgian court for having introduced on French WP a reference to an historical fact that was there for everyone to see, free of any form of censorship, on Dutch WP. So much for the cult, or rather for the dirty underwear all cults always end up trying to keep hidden, while they always manage to get entangled in them. While they weren’t nearly as dramatic, there were other issues on English Wikipedia, that also corroborate your own observations. But this mail was long enough, I believe, and for fear of boring you, I’ll pass on them for now. What do CD4 counts mean? The level of CD4 cells in peripheral blood is a prime criterion for diagnosing AIDS (in the United States in particular) and for monitoring antiretroviral treatment. However, these applications of CD4 counts stem from the initial and unhappy coincidence that when “AIDS” appeared around 1980, the counting of immune-system cells was in its infancy. By now it is known that CD4 levels are extremely variable in healthy individuals, and that a variety of physiological conditions other than “HIV” may profoundly influence CD4 counts. There seems to be no fundamental evidential warrant for the manner in which HIV/AIDS diagnosis and treatment rely on CD4 counts. 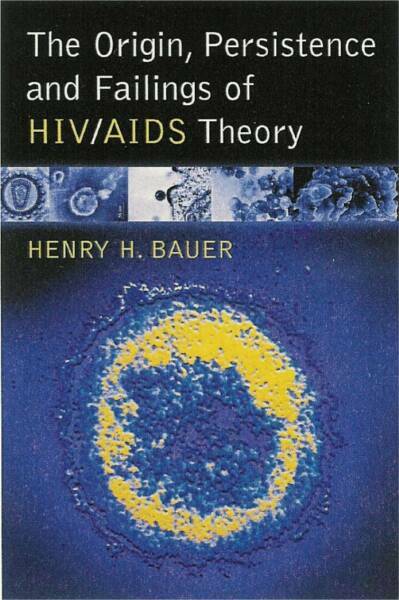 Juliane Sacher among others has pointed out that the levels of CD4 cells in peripheral blood are not a meaningful measure of immune-system status, since these cells move around the body according to where they seem to be needed [Alternative treatments for AIDS, 25 February 2008]. An obvious question: what is the range of CD4 counts in healthy individuals and in a variety of illnesses? (I’m grateful to Tony Lance for alerting me to some of the intriguing sources mentioned in the following). In any normal distribution, the standard deviation (s.d. or σ) describes the degree of scatter around the average (or mean) value. Only about 2/3 of a sample are within (±) 1 σ; in other words, about 1/6 are further from the mean on both the higher and the lower sides. In the Table above, among the men with mean CD4 count of 712, σ = 333, about 1 in every 6 men have CD4 counts below 379 or above 1045; and about 2% have counts more than 2σ above and below 712 , that is >1378) and <50. CD4 = 200 is about 1.5σ below the mean, which corresponds to about 6-7% (~1/15) of the sample. In other words, about 1 in every 15 healthy HIV-negative Senegalese men has CD4 counts below the 200 that, in HIV-positive people, is taken to be a sign of AIDS. Of course, CD4 counts may not follow a normal distribution, especially at upper and lower levels; but since this article reports means and standard deviations without specifying a different distribution, the authors themselves are presuming it is normal. Moreover, a similarly wide range of CD4 counts and an approximation to normal distribution is shown in other data sets as well. For example, healthy North Indians were reported to have a mean CD4 count of 720 with σ = 273 and an actually observed range of 304-1864 among 200 individuals; 10% were below 400, consistent with a normal distribution which would have about 16% below 450 (Ritu Amatya, Madhu Vajpayee, Shweta Kaushik, Sunita Kanswal, R.M. Pandey, and Pradeep Seth. “Lymphocyte immunophenotype reference ranges in healthy Indian adults: implications for management of HIV/AIDS in India”. Clinical Immunology 112  290-5). Actual distributions for several African populations, however, show a skewing toward higher CD4 counts, which indeed seems highly plausible a priori — one might expect to see a definite lower bound to CD4 counts in healthy individuals (Williams et al., “HIV infection, antiretroviral therapy, and CD4+ cell count distributions in African populations”, J Inf. Dis. 194  1450-8). Worth particular note is the comment in Amatya et al. that “These low counts could be due to physiological lymphopenia potentially caused by protein energy malnutrition, aging, antigenic polymorphism of the CD4 molecule, prolonged sun exposure, circadian rhythm, and circannual variation [9,10]”. The use of contraceptive pills by women has also been reported to influence CD4 counts (M. K. Maini, R. J. Gilson, N. Chavda, S. Gill, A. Fakoya, E. J. Ross, A. N. Phillips and I. V. Weller. “Reference ranges and sources of variability of CD4 counts in HIV-seronegative women and men”. Genitourin Med 72 [1996) 27-31]. Most of those circumstances do not represent illness. So CD4 counts can be low for a variety of fairly normal, not seriously health-threatening conditions. It follows that reliance on CD4 counts as diagnostic of “HIV disease” increases the danger that some unknown number of “HIV-positive” individuals are being told on the basis of laboratory tests — sometimes SOLELY on the basis of laboratory tests — that they are actually sick even though they feel and actually are healthy; and these people are then at risk of being consigned to toxic “treatment” for this imaginary illness. The risk is greatest if the blood tested for CD4 counts happens to have been drawn in the morning, or in the wrong season of the year, because CD4 counts vary appreciably with both those variables: T. G. Pagleironi et al., “Circannual variation in lymphocyte subsets, revisited”, Transfusion 34  512-6; F. Hulstaert et al., “Age-related changes in human blood lymphocyte subpopulations”, Clin. Immunol. Immunopathol. 70  152-8. Maini et al. (above) report a 60% variation during the day with lowest counts at 11 am. Yet another report describes a similarly large diurnal variation, from 820 at 8 am to 1320 at 10 pm (Bofill et al., “Laboratory control values for CD4 and CD8 T lymphocytes. Implications for HIV-1 diagnosis”, Clin. Exp. Immunol. 88  243-52). Just as with the tendency to test “HIV-positive”, CD4 counts are influenced by demographic variables: “race, ethnic origin, age group, and gender” (Amatya et al.). Bofill et al. also report a steadily decreasing CD4 count with increasing age. The contrary has been reported, however, by Jiang et al. (“Normal values for CD4 and CD8 lymphocyte subsets in healthy Chinese adults from Shanghai”, Clinical and Diagnostic Laboratory Immunology, 11  811-3). The discrepancy may be owing to differing attitudes toward statistical significance: the raw numbers in Jiang et al. do show an increase with age for men and a decrease with age for women but, as with the data of Bofill et al. and all others, the standard deviations are so large, on the order of one third of the mean values, that differences and trends would have to be very considerable if they are to be statistically meaningful. Again, Jiang et al. report no difference between Chinese men and women, whereas several sources cite women as having higher CD4 counts than men: in Britain (Maini et al.) and in more than dozen other countries in Africa, Asia, and Europe (Mair et al.). Caucasians have higher CD4 counts than Asians or Africans, according to Amatya et al. and Jiang et al., but not according to Maini et al. All these variations under the influence of several factors would make the diagnostic application of CD4 counts problematic even if “HIV” or “AIDS” had been shown to be the salient influence on CD4 levels. However, just as with the tendency to test “HIV-positive”, CD4 counts may be “low” in a wide range of conditions; perhaps most relevant to HIV/AIDS, in tuberculosis and general trauma, as well as with primary immunodeficiency, early acute phases of such viral infections as influenza, or Dengue fever (Bofill et al.) or recent respiratory infections (Maini et al.). “We observed no effect of HSV-2 status on viral load. However, we did observe that treatment naïve, recently HIV-1 infected adults co-infected with HSV-2+ at the time of HIV-1 acquisition had higher CD4+ T cell counts over time. If verified in other cohorts, this result poses a striking paradox, and its public health implications are not immediately clear” (emphases added; Barbour et al., “HIV-1/HSV-2 co-infected adults in early HIV-1 infection have elevated CD4+ T-Cell counts”, PLoS ONE 2(10)  e1080). There seems to be no clear warrant for diagnosing AIDS by means of CD4 counts, which may be why other countries have not followed the US example of taking <200 as a criterion. Similarly, there seems to be no clear warrant for assessing the progress of antiretroviral treatment by means of CD4 counts. Two practical illustrations of that are the fact that CD4 counts do not correlate with (or, changes in are not predicted by) “viral load” (Rodriguez et al., JAMA, 296  1498-1506), and that the NIH Treatment Guidelines distinguish immunologic failure (no increase in CD4 counts) from virologic failure (no decrease in viral load) and from clinical progression (does the patient’s health improve?). A somewhat related illustration of the failure of HIV/AIDS theory is that “AIDS” patients with Kaposi’s sarcoma may have quite high CD4 counts: see for example Maurer T, Ponte M, Leslie K. “HIV-Associated Kaposi’s Sarcoma with a High CD4 Count and a Low Viral Load”. N Engl J Med 357 (2007) 1352-3; Krown SE, Lee JY, Dittmer DP, AIDS Malignancy Consortium. “More on HIV-Associated Kaposi’s Sarcoma” N Engl J Med 358 (2008) 535-6; D.G. Power, P. J. Mulholland K. J. O’Byrne. “AIDS-related Kaposi’s Sarcoma in a Patient with a Normal CD4 Count”. Clinical Oncology 20 (2008) 97; Stebbing J, Powles T, Bower M. AIDS-associated Kaposi’s sarcoma associated with a low viral load and a high CD4 cell count. AIDS 22 (2008) 551-2. Mani, D., Neil, N., Israel, R., Aboulafia, D. M. “A retrospective analysis of AIDS-associated Kaposi’s Sarcoma in patients with undetectable HIV viral loads and CD4 counts greater than 300 cells/mm3”. J Int Assoc Physicians AIDS Care (Chic Ill) 8 (2009) 279-85. But then it has also long been known that “AIDS” Kaposi’s sarcoma is not caused by HIV, it’s now attributed to KSHV or HHV-8, which just happened — by the sort of extraordinary coincidence or oddity that is so common in HIV/AIDS matters — just happened to appear at the same time among the same risk groups as “AIDS” and “HIV” did; and then just as mysteriously went a separate path, so that KS declined from about 40% of all “AIDS” case in 1982 to well under 10% from 1987 onwards (Table 30, p. 128 in The Origin, Persistence and Failings of HIV/AIDS Theory). More sales in the offing for snake oil and Brooklyn Bridges. Human cancers (≥20% of them) are caused by viruses! — at least so says Robert Gallo, co-non-discoverer of the non-AIDS-causing “HIV”. In “HAART, heart disease, & lying with statistics” (2010/01/19) I pointed out that Lo et al. (2010) claim statistical significance for an association between coronary disease and “HIV” without benefit of the proper control group, “HIV-positive” people who had never been fed antiretroviral drugs. One of the earliest instances of the “bait and switch” tactic of ascribing to “HIV” what is actually caused by “treatment” against “HIV” was with lipodystrophy, which became prominent only upon introduction of protease inhibitors (PIs), a fact that doesn’t prevent mainstreamers from talking about “HIV-associated” lipodystrophy instead of PI-associated lipodystrophy. This attempted legerdemain of ascribing to “HIV” what is caused by antiretroviral drugs is widespread and will continue to be so, since an increasing proportion of “HIV-positive” people will suffer “treatment” as it is being extended to people with higher and higher CD4 counts, and is even proposed as prophylaxis in healthy, “HIV”-negative people whose only “risk factor” is being an African woman. By the time every “HIV-positive” person is on antiretroviral drugs, every “side” effect of the drugs can be asserted to be “HIV-associated”. Robert Gallo is engaged in an analogous attempted legerdemain by ascribing to viruses, without benefit of evidence, certain human cancers. According to Gallo, history teaches that the importance of infectious agents has been discounted for a century or so, despite periodic reminders: Spanish flu, polio, HIV: “ ‘I arrived in the National Cancer Institute in 1965 and there was a serious search for viruses involved in human cancer and a serious respect for infectious disease as potentially new epidemic disorders . . . . By 1975 the virus cancer programme had been killed and people had come to the conclusion that no virus was involved in human cancer and almost certainly would never be.’” Yet a few years later, those biases had been smashed. “Viruses are now known to be involved in about 20 per cent of all human cancers, maybe more, and we now have one of the great epidemics of all time in our face: HIV” (emphases added; “Keeping focused on eradicating a life-long and killer disease”). Actually the virus-cancer program was not killed, it self-destructed because no human-cancer-causing viruses had been discovered, despite a mistaken claim by Gallo followed by his continuing insistence that HTLV is a retrovirus that causes leukemia — even as he writes that HTLV “tended to be transmitted within families and to stay within families for generations” (p. 114, Gallo 1991). To most people, even medical scientists and perhaps even virologists, something that stays within families for generations is a heritable genetic factor and not an infectious disease. 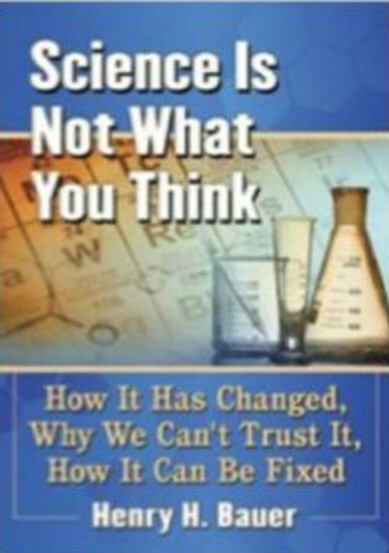 But Gallo is quite ready to re-write medicine and science just as he feels entitled to re-write history: he ascribes medical advances from the beginning of the 20th century to “an increased understanding of and reliance upon the scientific method” (p. 2); and “over the last fifty years, I see few examples in which the scientific-medical establishment arrived at an important conclusion about a disease and was later shown to be wrong” (p. 297; maybe only “few”, but they’ve been fairly significant, like prions mistakenly thought to be lentiviruses, or bacterially caused ulcers ascribed to psychological stress, or shock treatments and lobotomies); and he describes interferon and cytokines as “non-chemical” (p. 301), as though Wöhler had not destroyed the basis for such distinctions in 1828. Just a few weeks ago, before I had seen this latest Gallo emission, I’d commented that “ ‘HIV’ has infected virology with cancer-causing viruses” (2010/01/08) in connection with XMRV, the allegedly “xenotropic” (species-jumping) mouse virus allegedly involved in prostate cancer because SOME prostate cancers can yield bits of “non-chemical” substances that might be interpretable as originating in a virus related to XMRV: HIV/AIDS has provided the precedent for regarding something as a cause just because bits of what might be from it can be found in some proportion of cases. Of course, if there’s a “statistically significant” correlation at the p<0.05 level, calculated by use of a ready-made statistics software package, that proves it scientifically, because in HIV-virology correlation proves causation. After all, the fact that a couple of strains of human papillomavirus (HPV) are correlated with genital warts is clear proof that HPV cause the cancers that are sometimes correlated with such warts. Gallo is anything but shy, though his memory may be conveniently short. Twenty-five years ago he assured the Secretary for Health and Human Services that an anti-“HIV” vaccine would likely to be ready in a couple of years. Now, more than two decades of nothing but failed vaccine trials later, he interprets the latest failure of such a vaccine quite positively: “ ‘It worked, but all the positive data are in the first six months and after that there’s no protection. So whatever worked stopped working, and we have a good idea of what that might be . . . . I think it’s down to a special category of antibodies that were induced, and it fits with some ideas that we are working on.’ Gallo is understandably reserved about predicting the outcome of research in train, but he believes it could produce interesting results.” He would obviously make a champion seller of Brooklyn Bridges, not to speak of snake oil; perhaps I should say, he has already shown himself to be such a champion. The State of California has just added AZT to its list of recognized carcinogens. AZT was administered for more than two decades to “HIV-positive” individuals, and during this time an association was noticed between certain cancers — for example, cervical cancer — and “HIV-positive”. Should not Gallo point out to Governor Schwarzenegger that it isn’t the AZT that causes cancer, it’s the HIV against which the AZT is administered? Aging is caused in some part, perhaps very large part, by accumulation of mitochondrial mutations and increasingly poor mitochondrial function (Linnane et al. 1989). Antiretroviral drugs cause mitochondrial damage. “HIV-positive” people consume antiretroviral drugs. QED: “HIV-positive” is associated with mitochondrial damage which leads to aging. It’s an open question only for people who don’t remember the past. Whether “non-HIV-related cancers” are a result of “HIV” is not an open question, it’s an attempt to obfuscate. Under HIV/AIDS theory, the average time from “HIV-positive” to any symptoms of illness is 10 years. Now, “patients who contracted the virus just a few years back are showing signs of what’s being called premature or accelerated aging” [emphasis added]. The determined defenders of the orthodox faith speak in hand-waving fashion which ignores that chronology (among other things). The official line is that the life-saving drugs are enabling HIV/AIDS patients to live longer than ever before, and so to become prone to ailments of old age. What that attempted explaining-away does not explain is that the ailments “of old age” are affecting people in middle age; HAART-treated individuals are not living into old age and getting those ailments. Moreover, in the past, in the early days of actual AIDS, people died from opportunistic infections, not from cancers or other typically old-age conditions. “The HIV-positive participants had longstanding infection, were generally healthy, and the great majority were receiving antiretroviral therapy” [emphasis added]. Seemed likely that the answer would be “Yes” to Brian’s question, so I got the original article, “Increased prevalence of subclinical coronary atherosclerosis detected by coronary computed tomography angiography in HIV-infected men” (Lo et al.). I was surprised to read that duration of HIV infection was significantly associated with coronary plaque build-up “after adjustment for age, traditional risk factors, or duration of antiretroviral therapy” [emphasis added]. If HAART was causing the coronary disease, then longer HAART should correlate with more disease, surely! Well, consider that statement carefully: It doesn’t deny that duration of antiretroviral therapy is associated with plaque build-up; it just says that HIV infection is independently associated with plaque buildup. But reading the whole article reveals that there’s actually no good evidence that plaque build-up is associated with “HIV” in absence of HAART. Many studies have indicted HAART for increasing coronary risks, notably the protease inhibitors which disturb fat metabolism. That was reported already within a year or two of the first use of protease inhibitors, which had also been reported to produce hyperglycemia and hemolytic anemia (Massip et al.). “Use of HIV PIs is associated with atherogenic lipoprotein changes and endothelial dysfunction. Because these metabolic and vascular changes predispose to atherosclerosis, monitoring and treatment of dyslipidemia in patients taking these medications is warranted (Stein et al.). HAART doubles the risk of coronary heart disease in young adults (Currier et al.) and “the proportion of deaths attributable to non-AIDS diseases increased and prominently included hepatic, cardiovascular, and pulmonary diseases, as well as non-AIDS malignancies. Longer time spent receiving HAART and higher CD4 cell counts at HAART initiation were associated with death from non-AIDS causes. CD4 cell count at time of death increased over time” (Palella et al.). HAART also is associated with an increased thickness of carotid-artery deposits (IMT): “Antiretroviral-treated patients had a higher median IMT than the untreated patients (0.94 vs. 0.85 mm, P = 0.006; Fig. 3). Furthermore, among all HIV-infected participants, increasing duration of HAART (rho 0.20, P < 0.001), protease inhibitor use (rho 0.19, P < 0.001), and nucleoside analogue use (rho 0.23, P < 0.001) were each associated with thicker IMT. These relationships remained significant after adjustment for traditional cardiac risk factors and the duration of HIV diagnosis (P < 0.024 for all)” (Hsue et al.). “In the era of combination antiretroviral therapy, several large observational studies have indicated that the risk of several non-AIDS-defining conditions, including cardiovascular diseases, liver-related events, renal disease, and certain non-AIDS malignancies [14-19] is greater than the risk for AIDS in persons with CD4 T-cell counts >200 cells/mm3; the risk for these events increases progressively as the CD4 T-cell count decreases from 350 to 200 cells/mm3” (emphases added; p. 21, 3 November 2008). How then could Lo et al. claim that HIV infection was significantly associated with coronary plaque build-up “after adjustment for . . . duration of antiretroviral therapy”? In point of fact, some of the reported data do show an effect of HAART on plaque build-up — albeit there’s a certain amount of statistical legerdemain to wade through, and the need to THINK about whether the statistical calculations make sense. Expert statisticians tend to groan and roll their eyes heavenward when non-statisticians use such readymade statistics software packages and feed data into them without thinking knowledgeably about whether a particular mode of analysis makes sense. — For one thing, the sample sizes are not large enough to produce statistical significance in a multivariate analysis with so many variables. — Second, comparing mean years of treatment is not the best way to look for possible causation of coronary disease. One would like to see a graph or data set showing the raw data for each individual, because one wants to test for the presence of a threshold effect or some other non-linear dose-effect or duration-effect relationship: it is perfectly feasible, perhaps even to be expected, that a certain period of years on antiretroviral treatment would produce no discernible plaque but that accumulation might progress relatively rapidly once plaque has begun to form. — Third: One would like the data for individuals also because of certain apparent incongruities, for instance the much shorter periods on protease inhibitors than on antiretroviral treatment as a whole, since HAART is generally thought to have protease inhibitor as one of the typical components. — Above all, though, the manner in which these numbers are presented makes it easy to overlook that the best indicator of whether HAART causes coronary disease is to compare “HIV-positive” people who have never been on HAART at all with those who have been. Here, there is no significant difference found, with p=0.16 too large. But hidden in plain view is the fact that the number of individuals NOT on HAART was only 3 in the no-plaque group and 1 in the plaque group! NOT on HAART were 3/32 (9.4%) in the no-plaque group and 1/46 (2.2%) in the plaque group. That looks quite significant, and very different from 90.6 vs. 97.8. “How to Lie with Statistics” by Darrell Huff (1954/1993) and “Damned lies and statistics: untangling numbers from the media, politicians, and activists” and “More damned lies and statistics: how numbers confuse public issues” by Joel Best (2001,2004) point to many other devices for presenting numbers and statistical data to produce a desired impression not necessarily warranted by the data themselves. In the present case, one can legitimately state a priori that it is unlikely to be a good test of the influence of HAART on coronary disease when the proper control group — “HIV-positive” individuals who have never experienced HAART — constitutes only 4 of the sample of 78. Further, any possible effect is hidden rather than exposed when the data are presented only as averages, which leave salient questions unanswerable. For example, the average time since HIV diagnosis is 13.5 years, yet the average duration of antiretroviral treatment is 6.2 and 7.9 years for the two groups but only 4 individuals out of 78 have never had antiretroviral treatment: How many had very short courses? Why? What were the differences in individual treatments? And so on. Given the small sample size, one might reasonably conclude that statistical analysis could not command the power to deliver statistically significant results, and one would make do with the numbers themselves. And those numbers are perfectly consistent with all the previous reports that antiretroviral treatment increases the risk of coronary disease (and also kidney and liver disease as well as certain cancers). After all, among people never on HAART, 75% (3/4) had no sign of coronary disease and only 25% did, whereas of those who have experienced HAART, 61% showed plaque (45/74). Above all, the data presented by Lo et al. shows a pronounced increase in cardiovascular disease with longer duration of “HIV infection” AND 74 OF THE 78 PEOPLE IN THE SAMPLE HAD BEEN ON ANTIRETROVIRAL TREATMENT, only 4 had not, and 3 of those 4 showed no sign of cardiovascular disease. Those data are at least equally compatible with the inference that duration of HAART correlates with cardiovascular disease, and comparisons of those with and without plaques confirms that: Those with plaque had experienced antiretroviral treatment 27% longer (7.9 vs 6.2 years), particularly protease inhibitors (52% longer, 4.4 vs 2.2). Stein et al. : James H. Stein, Melissa A. Klein, Jennifer L. Bellehumeur, Patrick E. McBride, Donald A. Wiebe, James D. Otvos, & James M. Sosman, “Use of Human Immunodeficiency Virus-1 Protease Inhibitors is associated with atherogenic lipoprotein changes and endothelial dysfunction”, Circulation 104  257-62. 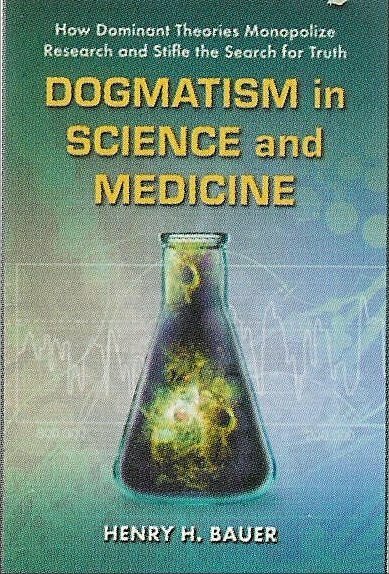 “Unclear outlook for radical journal as HIV/Aids deniers evoke outrage — Publisher considers Medical Hypotheses’ future in light of articles’ ‘implications'” (by Zoë Corbyn, 14 January 2010) which brought many comments, with a gratifying number of individuals speaking up for the importance of Medical Hypotheses, the limitations of peer review, and the impropriety of attitudes like those expressed by Moore and Kalichman that seek to suppress any critiques of mainstream theories. By the sort of glitch that can happen under these circumstances, one of the removed comments was by me. Those who scan the comments at the moment will therefore find a comment on my comment, by a certain Todd DeShong, and will be puzzled over (1) what he is referring to and (2) why the editor did not remove DeShong’s assertions about me that may well be libelous. “There’s also an unclear outlook as to whether Elsevier is fit to publish scientific journals. Glen Campbell, Executive V-P for Global Medical Research Journals, Elsevier Health Sciences, received an e-mail on 3 August 2009 apparently alleging that an article in press and posted on-line constituted a threat to global public health. What would an administrator of scientific publishing do in this situation? Obviously, the first step is to inform himself properly about the matter by seeking information from the journal’s editor, and possibly also the journal’s Editorial Board, and plausibly from the article’s authors, who would naturally be in the best position to comment on the technical allegations — if any — in the protest e-mail. Instead, Campbell had the articles taken down without the benefit of advice from editor, editorial board, or authors. It might be noted, too, that the wording of the withdrawal makes serious allegations, arguably libelous, about the article’s authors (see PubMed 19619953). The authors found out about it when a protester’s blog, on the day following Campbell’s e-mail to the protesters, announced triumphantly their success in having the articles withdrawn. Several days later, the authors received belated notification of Elsevier’s action, from a different Elsevier vice-president, Chris Lloyd (V-P for Health Sciences Journals). There would be an internal investigation into the matter, he said. At no time have the authors, the editor, or the editorial board been informed of the content of the protesting e-mail; or about the nature of the internal investigation — who conducted it, what it was supposed to investigate. Most recently, a result of that investigation was communicated to the authors: A panel of editors of medical journals should be asked to advise whether the withdrawn articles were broadly within the bounds of acceptable science. The salient substantive points, too, have been persistently avoided. The journal JAIDS published an article alleging that hundreds of thousands of South African lives had been needlessly lost because the South African government did not make antiretroviral treatment available, owing in part to Peter Duesberg’s influence, holding him therefore at least partly responsible for those deaths. The calculations used ESTIMATES of South African deaths from AIDS that EXCEED BY A FACTOR OF 25 those published by Statistics South Africa (estimating 350,000 instead of the count from death certificates of about 14,000). JAIDS refused, however, to publish Duesberg’s letter correcting the numbers. Later a modified version (of which I am one of the co-authors) was submitted to and accepted by Medical Hypotheses. Since it is an article and not a letter, Duesberg’s piece in Medical Hypotheses contains additional material, but the fact remains that JAIDS refused to publish a correction based on official South African statistics, and fanatical defenders of HIV/AIDS dogma are apparently terrified that the media and the wider public might come to know that estimates about AIDS deaths are exaggerated by factors like 25 by such agencies as UNAIDS. That such exaggeration has been routine is attested, for example, by the former epidemiologist for the World Health Organization, James Chin, who points out (“The AIDS Pandemic”, Radcliffe Publishing) that, to explain the alleged spread of HIV/AIDS in Africa, one would have to postulate that 20-40% of the adult population is continually engaged in sexual promiscuity with several partners who change frequently.